Start in Lyon and end in Marseille ! 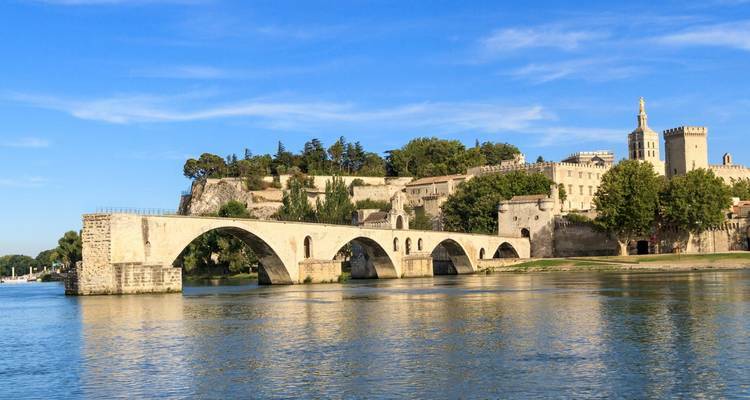 With the river cruise tour Sensations of Southern France 8 Days (from Lyon to Marseille), you have a 8 day tour package taking you from Lyon to Marseille and through Lyon, France and 7 other destinations in France. Sensations of Southern France 8 Days (from Lyon to Marseille) includes meals, transport and more. There was so much included - guided walking tours thru the city center, museums, guided bike rides thru the countryside, on board cooking & cultural demos, local musicians, lectures, and UNESCO tours, free time to shop local stores and optional side trips. Lyon is the starting point and Marseille is the endpoint. TourRadar can request Emerald Waterways to hold spaces for you for up to 48 hours without any credit card details. TourRadar only requires a deposit of $99 to confirm this Emerald Waterways booking. The remaining balance is then payable 95 days prior to the departure date. For any tour departing before 30 July 2019 the full payment of $0 is necessary. No additional cancellation fees! You can cancel the tour up to 95 days prior to the departure date and you will not need to pay the full amount of $0 for Sensations of Southern France 8 Days (from Lyon to Marseille), but the deposit of $99 is non-refundable. Covering a total distance of approx 590 km.